Before the Black Dagger brotherhood, and the Dark Hunters, there was the Montgomerys by Jude Deveraux. I pounced at every book written about them. I started this series over 20 years ago. There's something very appealing to this series. If you haven't tried it, then it's about time. This is a story about Jace Montgomery, and the mystery of his fiancee's death. I'm still currently reading the book, and I want to enjoy it. I'll give an update later to see if I am 'entertained' by my newest Montgomery. I actually find myself re-reading The Invitation, the story of William Montgomery and Jackie O'Neill. It's a fun story to read. Thanks for your visit to my Brookville Daily Photo blog this morning. I hope you enjoyed my post today showing the baby rabbit eating the poppy leaves. I also wrote a longer piece on my Better Blog Writing about my Mom and Dad. See if you like the writing style. It is popular among better blogs. Last evening, it was almost dark, when one of the baby rabbits came up to our patio door and wanted in. I was flabbergasted but only took a picture and didn't leave him come in the house. 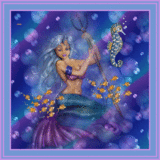 I wanted you to know I stopped-in to repay your visit and leave a you a comment. I enjoyed reading your blog post for today and I thought your photography was excellent. 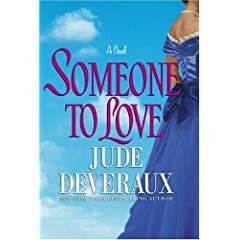 I love Jude DeVeraux, I read her books a lot, i mean a lot when i was in college. There was this little book-for-rent shoppe right around the corner at my school and we go there every Wednesday to check if they had a new Jude books.